Miss Larkin overheard me talk about an interesting Harry Potter blog with somebody in class the other day and I didn’t manage to catch her after class so she suggested I blog them to her as it’s easier! 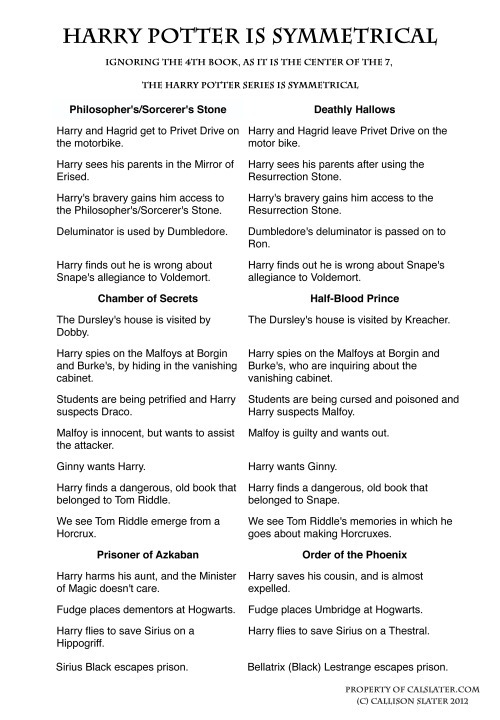 I’ve found these really interesting, even if Ms Morgan doesn’t consider HP to be Literature! I know that this isn’t to do with the course but I thought Miss L (and others!) would find this as interesting as I have!